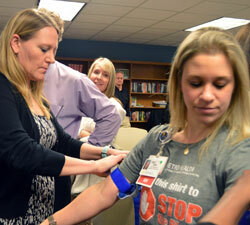 Knowing how to stop bleeding saves lives, said trauma experts who visited Wyoming High and Middle schools. And educators are some of the best people to have prepared in an emergency. 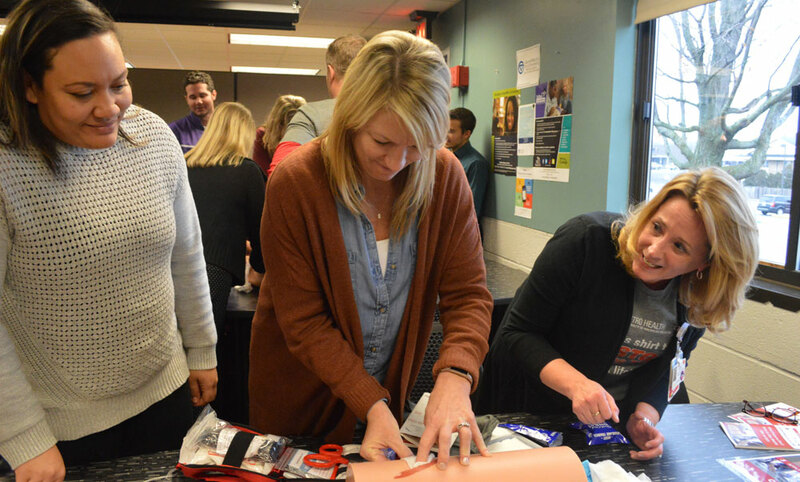 Metro Health trauma department staff, with help from the city of Wyoming’s Public Safety Department and area EMS representatives, recently trained about 100 district educators to use a three-step process to stop bleeding. 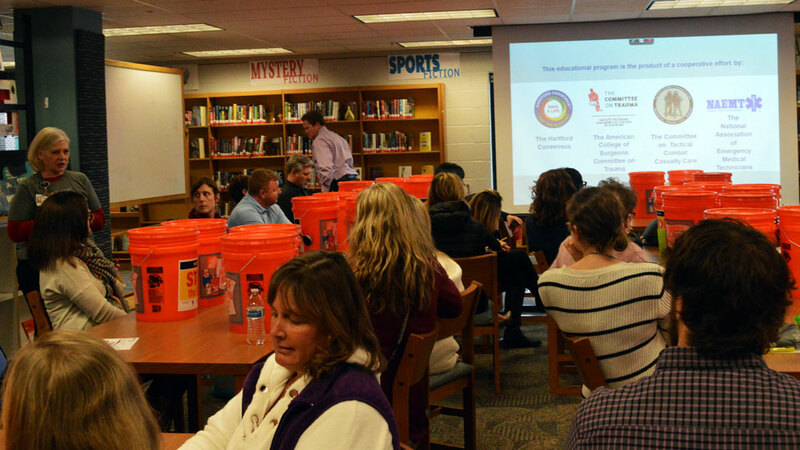 The hospital also donated “Stop the Bleed” buckets containing supplies including a tourniquet, gauze, plastic gloves and toilet paper to keep in classrooms. 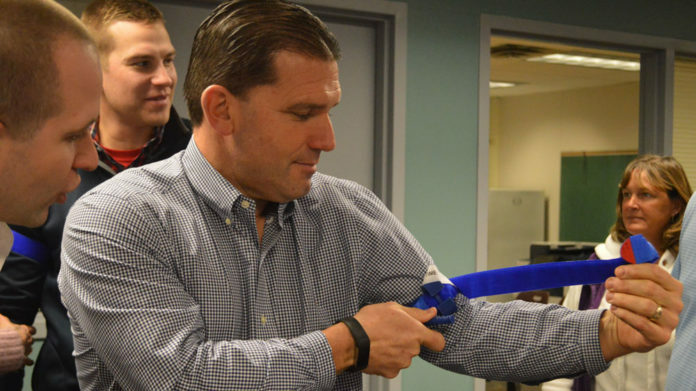 Stop the Bleed is a national initiative sponsored by the American College of Surgeons and has the goal of training millions of civilians to identify and stop life-threatening bleeding in the crucial minutes after injury. Educators practiced putting pressure on a wound on a fake leg, putting a tourniquet on themselves or each other, and stuffing a wound. 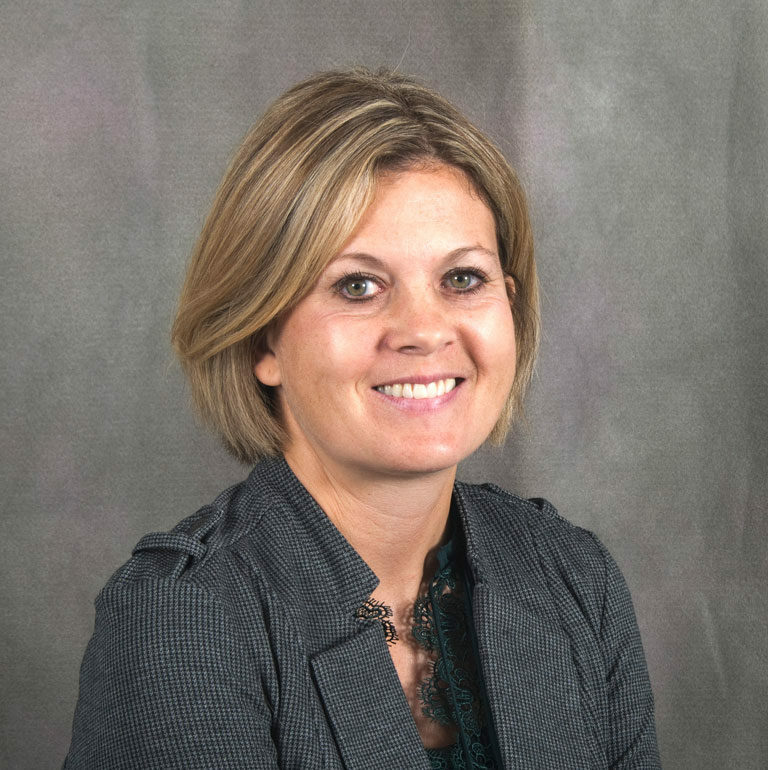 Yvonne Prowant, a registered nurse and director of the University of Michigan Metro Health Trauma Center, said while she hopes no one has to use what they learned, being prepared can be crucial. The 2012 school shooting at Sandy Hook Elementary School in Newtown, Connecticut, raised awareness among emergency professionals that more community training is needed. “Most of the students who died in Sandy Hook did not have lethal wounds,” Prowant said. But because students were contained inside the school and adults in the building weren’t trained and lacked supplies, they weren’t treated in time to save their lives. The training is valuable for any type of emergency where people are injured, she said. According to the Centers for Disease Control and Prevention, uncontrolled post-trauma bleeding is the leading cause of preventable death. In addition, 30-40 percent of all fatalities in mass shootings are due to bleeding to death. 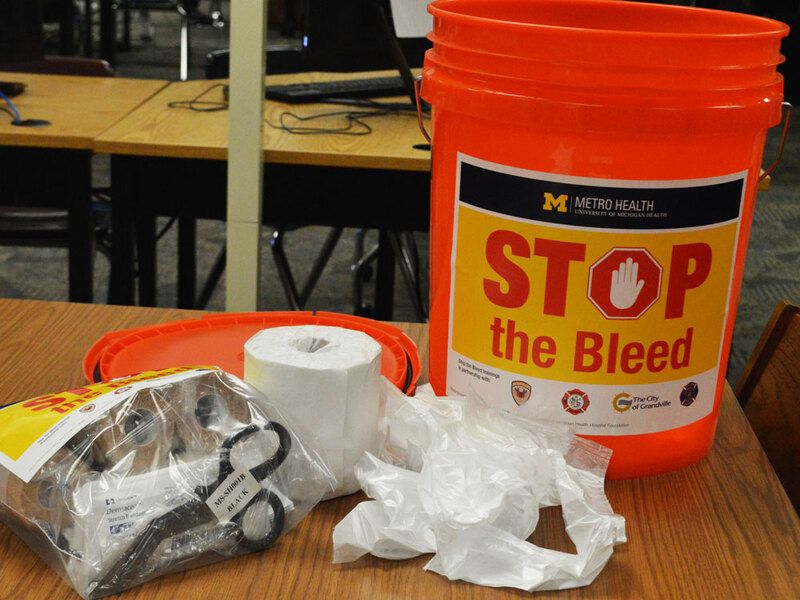 The Stop the Bleed campaign and buckets are funded by a $35,806 grant provided by the Metro Health-University of Michigan Health Foundation. Hospital staff hope to host other trainings at churches and other large gathering spaces that are common targets of mass shootings and other traumatic events. Prowant said training is free to schools because it’s so important to have people in place to react. “(Educators) are with their kids all day long. They would be the first ones there, and the sooner we can get someone to stop bleeding the more likely we are to save their life,” she said. Thanks for letting me know! I fixed it!